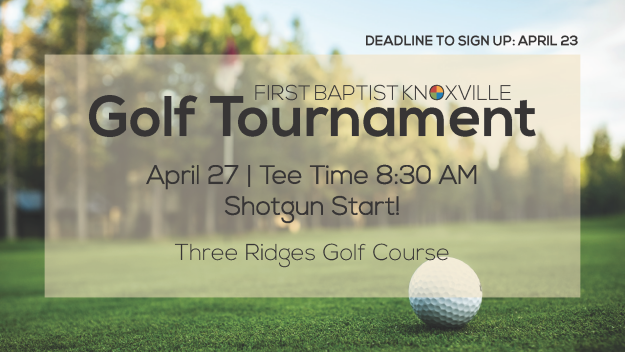 Join us for our annual golf tournament! To sign up, contact Tom Axley at or 423-693-5766 by April 23. Green fees (which may vary depending on the number of players) include a cart and range balls, and should be paid directly Three Ridges. There will also be food and drinks available for purchase through the clubhouse. Tee Time is at 8:30 am and will be marked with a shotgun start!